TALKEETNA — The first marijuana retail store in downtown Talkeetna plans to open next month just as summer crowds descend on this village at the base of Denali. 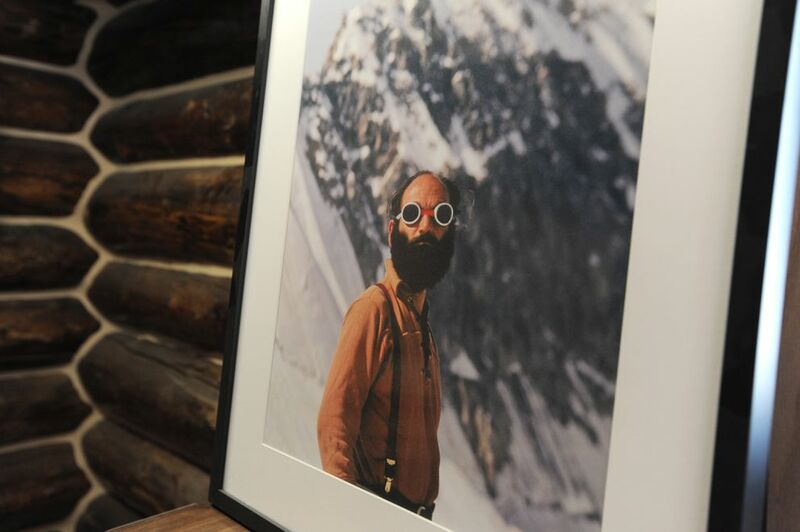 The High Expedition co-owner Joe McAneney says he and partner Dan Nelson plan to build an "active lifestyle brand" around Talkeetna's personality and the store's historic location: the log cabin that housed the guide service of Denali climbing pioneer Ray Genet. The store is scheduled to open May 1, pending state inspection. But not everyone appreciates the kind of history The High Expedition is about to make. A vocal contingent of residents oppose the business, saying a marijuana store on Main Street conflicts with Talkeetna's family-friendly storefronts, historic atmosphere and cruise-ship clientele. The High Expedition sits at the far end of Main Street in a hand-built log cabin that once served as a ranger station and later housed Genet's guide company. The Swiss-born climber was the first guide on Denali, reaching the summit of North America's highest peak dozens of times before he died descending Mount Everest in 1979. 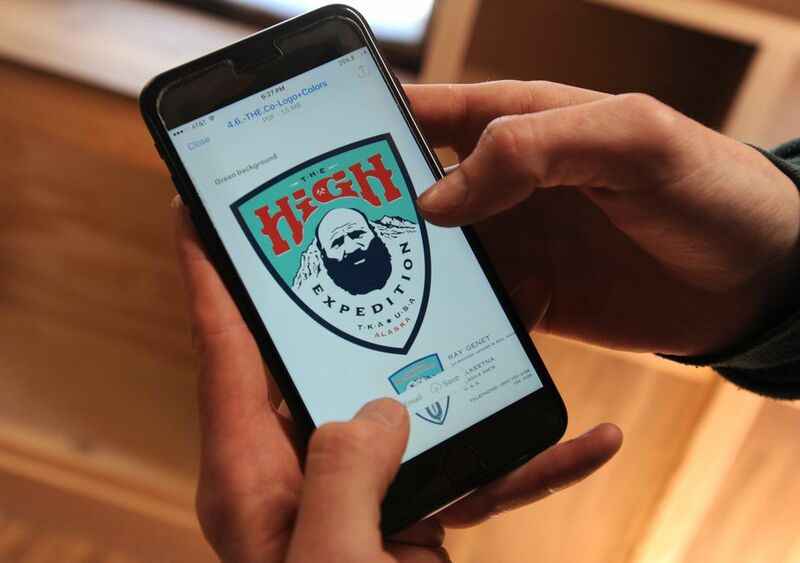 The store's brand centers on the image and legacy of the guide nicknamed "Pirate" for his bushy black beard and bold personality. 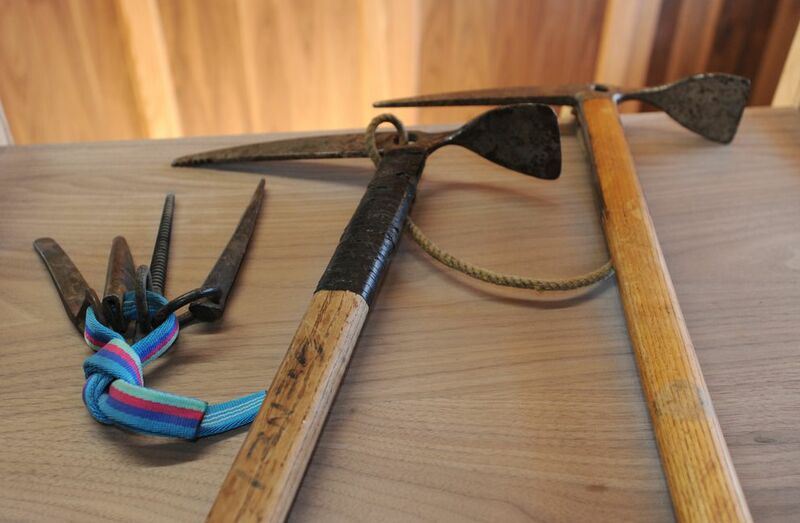 McAneney, a lanky 27-year-old former All-American track athlete, said Genet's climbing paraphernalia — snowsuits, ice axes, pitons and photos — will be on display inside. McAneney says he plans to prove the store is an asset — "a Ray Genet museum that sells cannabis." He and Nelson ran a company called Mountain Juice out of the store location last summer "to show the community we could be a responsible business," he said. McAneney grew up in western New York but has lived in Anchorage and worked at Denali and on the North Slope. A recent transplant to Talkeetna, he coaches soccer, serves as treasurer on the chamber of commerce, and chairs the hard-to-fill local sewer and water board. McAneney said he wants to break down stigmas surrounding marijuana, starting with a store that isn't hanging posters of Bob Marley and is designing a logo devoid of pot leaves. "It's going to be a great draw to Talkeetna," he said. 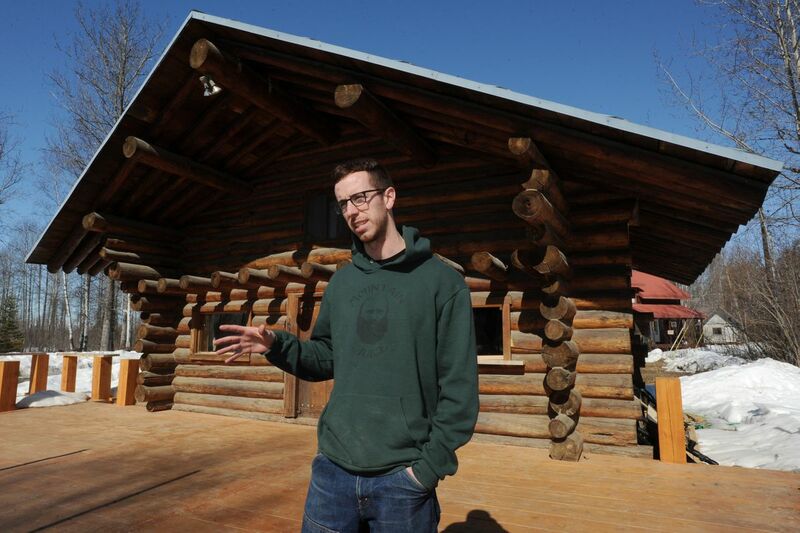 Opponents say Talkeetna already has a heroin, meth and alcohol problem; it doesn't need a marijuana shop downtown too. 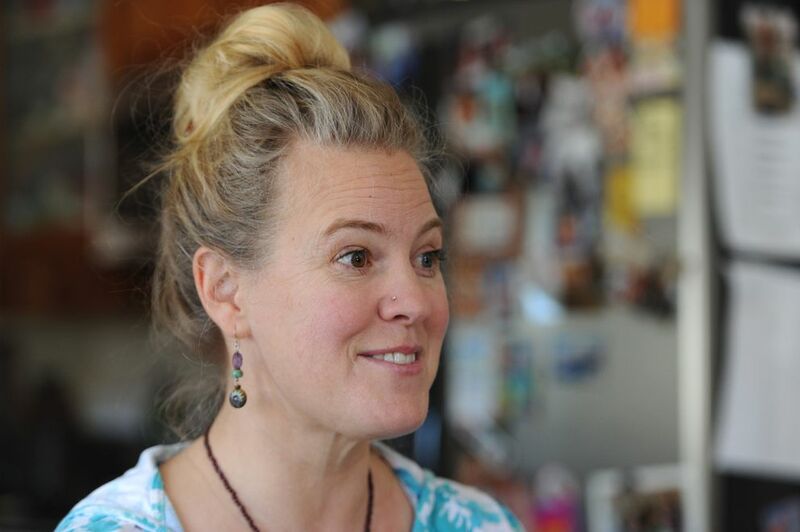 "I have nothing against Joe or Dan," said Beth Valentine, an artist who grew up in Talkeetna and spent four years as chamber of commerce president. "I'm just against selling marijuana on Main Street." A marijuana store along the concentrated downtown corridor "isn't typical of our visitors," said Valentine, a mother of four. Store critics also wonder where customers will consume their purchases. Holland America Group has a zero-tolerance policy at its hotels, including the McKinley Princess Lodge north of Talkeetna and two hotels in the Denali Borough. It's illegal to use marijuana in parks, on sidewalks and on federal land, including national parks like Denali. The business earned the approval of the state Marijuana Control Board last week. The store didn't need local approval because it was exempted from the Matanuska-Susitna Borough permitting process under a pre-existing loophole. Opponents repeatedly point out the store is across the street from a small park, but state regulations don't address parks. Borough regulations included a 500-foot park setback in early drafts. But an advisory committee removed the parks provision after McAneney pointed out the extent of potential setbacks, according to Alex Strawn, the borough's development services manager. A map Strawn drew up showed setbacks covered Talkeetna in what he called a "de facto prohibition." The Marijuana Control Board voted 3-2 to approve The High Expedition. That close vote is "not the norm" to this point in the board's history, said chair Peter Mlynarik, Soldotna's police chief. Mlynarik was one of the two "no" votes. He said he wanted to gauge public interest, given the opposition to the store. The number of people speaking against the store wasn't the norm either, he said Thursday. "I thought it would be a good opportunity to have a public hearing so people could voice their opinions," he said. The board received 20 letters, many linked to two Talkeetna residents, months after the comment period closed, The High Expedition attorney Jana Weltzin said during the April 4 hearing. Board member Brandon Emmett, a marijuana grower and manufacturer from Fairbanks, drew laughs when he scoffed at the implication Talkeetna is a "sort of drug-free utopia." There are 16 liquor licenses in town, according to Weltzin. Emmett, who said he comes to Talkeetna every summer to fish for salmon, described tourist crowds during the day that give way to "a raucous drunken place" at night where climbers, anglers and rafters wander from bar to bar. "It is the Bourbon Street of Alaska," he said, saying opponents to The High Expedition "are trying to impose their distaste for marijuana upon private industry." McAneney said he's received written or verbal support from every business on Main Street, said Robert Sheldon, who co-owns a chunk of commercial frontage there. Ray Genet's son and his wife both spoke in support of the store. State law mandates a marijuana business needs to be more than 500 feet from a school, recreation or youth center, church or correctional facility. McAneney says his store falls within all those parameters. But Talkeetna resident Steve Bush, who spoke at the hearing, said The High Expedition is 400 "some odd feet" from a church, and 300 feet from the Susitna Salmon Center that attracts children for walks and programs. "I just think that an employee of the state needs to come out and measure," Valentine said. State officials say they don't plan to take new measurements. During a final inspection, an investigator will make sure the facility matches the plan approved by the state, according to Erika McConnell, the director of the state Alcohol and Marijuana Control Office. They will look for "general compliance" with regulations. "They will not do a measurement to protected land uses," McConnell wrote in an email. "For the most part, we look to the local government to provide that info." McAneney hopes to expand to manufacture oils and edibles and add on-site consumption if Alaska becomes the first state to approve it. Just think of all the tourists coming to town then, he said. "Alaska will be the Amsterdam of America."